Washington D.C. Criminal Defense Lawyers - Oberheiden, P.C. Criminal Defense Lawyers for Individuals, Health Care Providers, and Businesses in Washington D.C. If you are facing a federal investigation or litigation in federal court, you need to take a strategic approach to asserting the strongest possible defense. 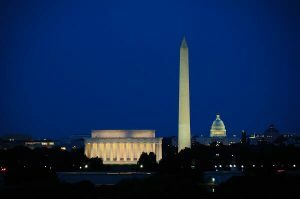 As Washington D.C. Criminal Defense lawyers, we bring decades of experience as defense lawyers and former federal prosecutors to representing individuals, health care providers, and other businesses in Washington, D.C.
Oberheiden, P.C. is a health care fraud, criminal defense, and business litigation law firm with a national presence. We represent individuals, health care providers, and other entities in complex and high-stakes federal matters. Our team of defense lawyers and former federal prosecutors provides strategic defense representation for audits, investigations, prosecutions, and civil litigation in federal court, and we have a proven track record of securing favorable outcomes for our clients. Whether you are a health care provider facing a federal investigation, an individual facing computer or drug crime charges, or a business owner facing civil litigation in Washington, D.C., we can help. We encourage you to contact us promptly for a complimentary case evaluation. Our firm is led by senior partner Dr. Nick Oberheiden. Nick Oberheiden is a highly experienced federal health care fraud defense attorney. Our attorneys offer a unique blend of experience in federal civil and criminal matters. Collectively, our attorneys have handled well over 1,000 federal investigations and 500 federal trials, and they have represented clients across the country facing allegations ranging from health care fraud to antitrust violations. We offer strategic legal representation punctuated by exhaustive factual support and compelling legal arguments. We focus on finding the most favorable ways to resolve our clients’ legal issues as quickly as possible. Q: Why am I being targeted by federal authorities, and what do I need to do to protect myself? If you are being targeted by federal authorities for civil or criminal prosecution, this most likely means that either: (i) someone has reported suspected illegal activity to the DOJ, DEA, FBI, or another federal agency; or (ii) the government has independently uncovered evidence of suspected fraud or another criminal offense. However, due to over-reliance on data analytics, the filing of meritless whistleblower claims, and various other factors, federal investigations are often severely misguided. Responding quickly (and appropriately) to the government’s inquiry will provide you with the best opportunity to secure a favorable outcome without facing charges – and as Washington D.C. Criminal Defense lawyers, we are prepared to act quickly to protect you. Q: Could I really be guilty of a federal offense? Maybe, but this is not a question we can answer until we have a thorough understanding of your situation. Many federal laws (including the False Claims Act, Stark Law, Anti-Kickback Statute, and Controlled Substances Act) are extraordinarily complicated. Determining whether you have committed a violation requires a detailed factual investigation and careful legal analysis. However, one thing is clear: You should not assume you are guilty simply because you are under investigation or facing charges. You could have a variety of defenses available, and you should speak with an experienced federal defense attorney as soon as possible. Q: Why should I choose Oberheiden, P.C. for my federal case in Washington, D.C.? a team of senior attorneys working together to protect our clients. decades of experience as former federal prosecutors. significant results in a broad range of federal civil and criminal matters. 24/7 accessibility and direct access to your attorneys. a relentless approach to securing the best possible outcome as quickly as possible. If you would like to speak with one of the senior Washington D.C. Criminal Defense lawyers we encourage you to get in touch. To schedule an appointment at your convenience, call (888) 519-4897 or tell us about your situation online now.